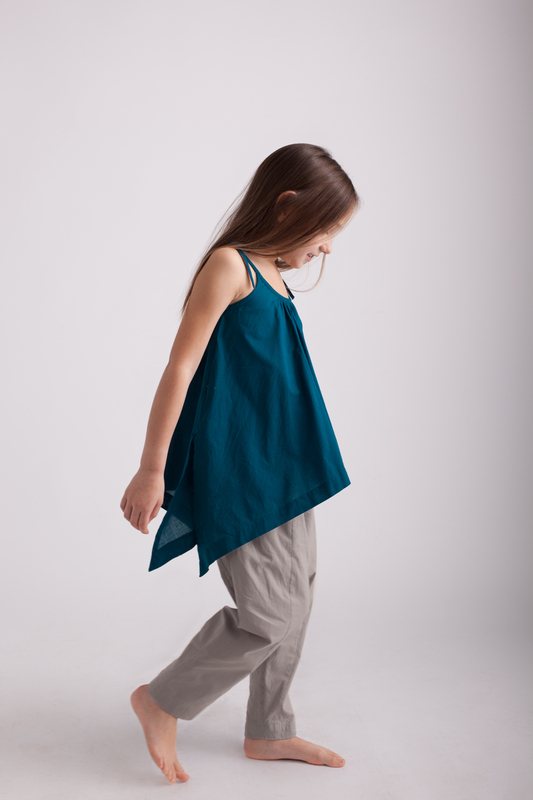 Simple lightweight organic cotton poplin top with flared shape and gathering at front and back. 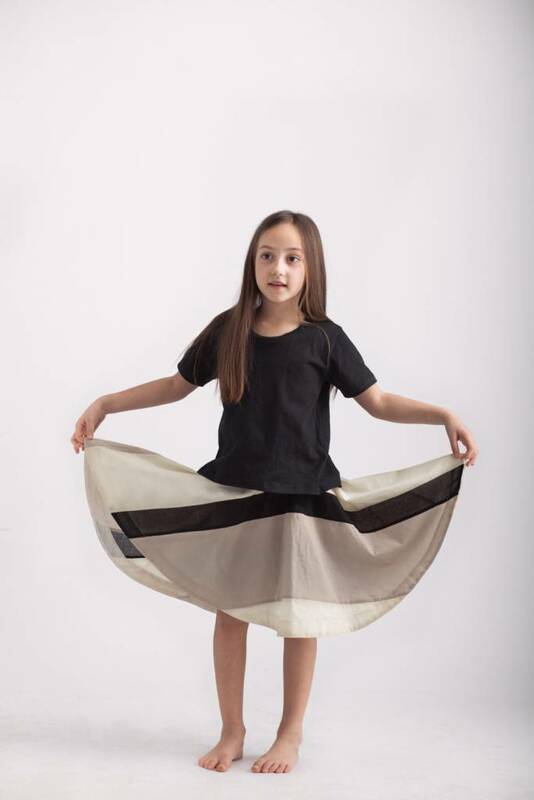 Features adjustable shoulder ties and side slits. Hang or lay flat to dry. Warm iron. Do not dry clean.